Audrius Sveikata (MD, PhD) has over 16 years of experience in clinical research, regulatory sciences and academia, being in executive management positions in different operational roles within national competent authorities, academia, pharmaceutical industry and associations. His expertise includes the design and implementation of clinical development plans and regulatory strategies in the European Union. Prior to CRO business, Audrius was head of the clinical assessors unit in State Medicines Control Agency at the Ministry of Health of Lithuania. His responsibility includes scientific evaluation of non-clinical and clinical data of medicinal product applications as well as management of the administrative and procedural aspects of the evaluation of the applications submitted for marketing authorization in the country and Europe. 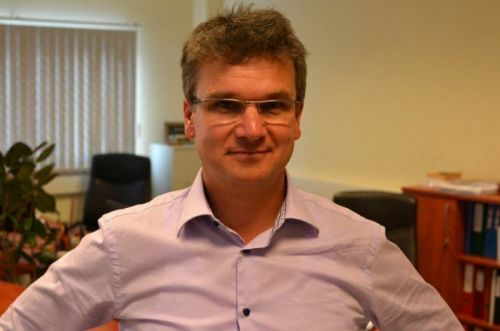 As a professor of pharmacology at the University of Health Sciences (Lithuania), Audrius was involved in the teaching and scientific process with the specialization in neuro-psychopharmacology. He is active as a lecturer in various pharmacological, clinical research and life science conferences, author and co-author of more than 50 scientific publications. Within AICROS he is responsible for the following countries : Poland, Lithuania, Latvia, Estonia, Russia, Belarus, Ukraine and Georgia. The scope of his functions ranges from General Management (Human Resources, finance, administration) to management of clinical operations, regulatory consulting, pharmacovigilance, project management and business development. Audrius is also the president of Lithuanian Good Clinical and Regulatory Practice Association and member of several professional organizations.